When someone is reaching out to your brand on social media you have to be ready to respond. Responses need to be fast, honest, caring and solve your customers problem. Regardless of where your social media strategy stands, it is always smart to evaluate your response strategy and learn from other companies. Billie Sastre works as a consultant alongside businesses who want to better communicate with their customers via social networks. She helps them develop strategies that improve customer communication, lead to higher retention rates and customers becoming brand ambassadors for her clients. 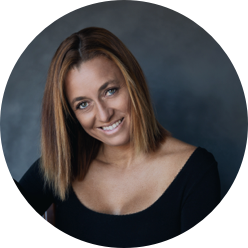 Her agency Sastre Martin specializes in Social Customer Care strategies for Latin markets, and she is a keynote speaker at various Social Customer Care workshops and seminars. Author of the book: Díselo con cariño (Say it With Love). She has worked for medium to large companies all over the Spanish and Latin markets and is a Tedx speaker. She inspires and helps women all over Latin America to be successful entrepreneurs and to find the right work-life balance.